The Topanga State Park considered the largest state park within the limits of a megacity, is undoubtedly nature’s most exhilarating splendors of utter magnificence. It’s the perfect place to lose your senses to the beauty of the wilderness, hike exotic trails, feast your eyes on the Santa Ynez falls, and of course, spot some deer and mountain lions. The name Topanga originates from the local Indian dialect that was once spoken in the region, and for thousands of years, many tribes resided in small villages scattered all over this rugged landscape. In the 1920s, it was discovered as the largest wildlife park in Los Angeles, and from then, it is a source of great fascination for all those who seek adventure. It is located within the city limits of Los Angeles, and it offers a wide host of amazingly adventurous recreational activities for hikers, rock climbers, mountain bikers, nature photographers, and even families who want to introduce their children to the glories of nature. Tucked away within the majestic cliffs and canyons of Santa Monica Mountains, the Topanga State Park is home to 36 miles of breath-taking trails that take you through scenic meadows, grasslands, waterfalls, live oaks and heavenly views of the glorious Pacific Ocean. Needless to say, it is a remarkable wildland to unwind and de-stress your mind. The Topanga State Park allows you to feast your eyes on an abundance of natural splendors, along with engaging in challenging hikes on breathtaking trails that are home to countless geological formations. This state park contains marine fossils, earthquake faults, numerous sedimentary formations and even volcanic intrusions. It’s a great place to educate your children about several key geological concepts. You can challenge yourself with adventurous physical exertion at the Eagle Spring loop trail, the Rogers trail, and the Musch Ranch trail amongst several others. These trails are extremely popular amongst hikers, rock climbers, photographers, bikers and even horseback riders. If you want to enjoy a panoramic view of the Topanga State Park, head over to the Eagle Junction, where you will encounter the Eagle Spring loop trail. The Mulholland Drive will take you towards the Temescal Fire Road, where you can feast your eyes on a glorious spread of oak riparian forests, and wild canyons with sycamore. The Santa Ynez Canyon should definitely be on your list for it is a home to a scenic landscape of small cliff gardens and a breathtaking waterfall. The park has certain time limits for the visitors. Of course, it needs to be maintained and secured. However, you can visit the park from 8 am until sunset which is sufficient enough for that morning stroll or that evening walk before bed. The Topanga state park is located within a 30 min drive from Roadway Inn Los Angeles. Despite its lavish comfort and classic Hollywood glamour, it is an extremely affordable destination. You get to enjoy your stay in stylish rooms, with a courteously friendly room service and a scrumptiously delicious cuisine. What’s more, you won’t have to go far to hit the hottest clubs and cafés in Santa Monica. 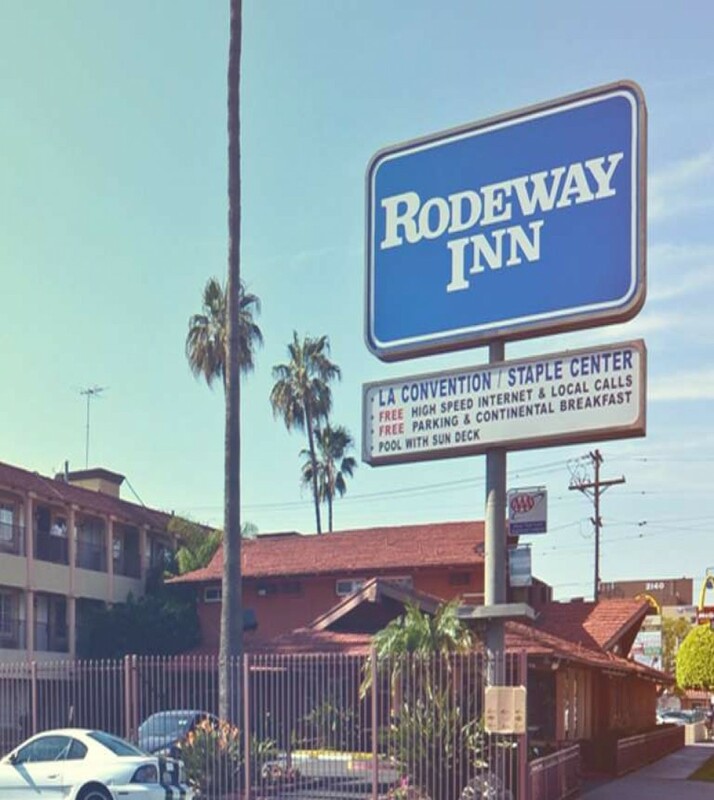 Reviewed to be one of the best, affordable hotels in Los Angeles, the hotel is near all the top attractions of the city making it extremely convenient for tourists and visitors alike. Book your stay at the https://www.laconventioninn.com/ today and save big!